Tim Minchin 2018 HOTA: Lexi Spooner LEXIMAGERY. 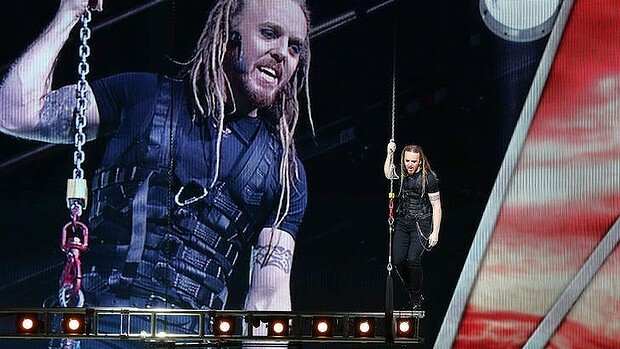 Australia’s brilliant showman and provocateur, the internationally acclaimed Tim Minchin performed a history-making first concert on HOTA’s spectacular outdoor stage on Saturday evening, to a capacity audience. Saturday’s special free concert – Minchin’s first in Australia for two years – officially launched the HOTA outdoor program for 2018. HOTA, Home of the Arts officially came to life on the Gold Coast last month, with the announcement of the new name, introduction of the spectacular new outdoor stage and release of the Outdoor Program featuring big names, collaborations and local talent. Saturday’s concert marked the beginning of an exciting new era for the Gold Coast. Tim Minchin 2018 HOTA: Tyronne Fitzgerald LEXIMAGERY. Other standouts in the 2018 program include the Concert for the Planet on Saturday, March 24, and then concerts by Australian music legend Neil Finn, the mighty Queensland Symphony Orchestra, and in a major coup for the region, multi-award winner and pioneer, musician and film director, Laurie Anderson will leave her home in New York to take up residency at HOTA. “A new name, a spectacular new venue, and a wonderfully energised new program comes as the result of many years of planning and hard work by multiple teams and a huge commitment from the City of Gold Coast,” said HOTA Chair Robyn Archer AO. “The Tim Minchin concert this weekend is the inspirational beginning of a new era for the Gold Coast, for both its residents and its millions of visitors. At last, the sixth largest city in Australia has created a brilliant state-of-the-art platform for the commissioning, producing and presenting of the most exciting artists from the region, the nation and the world,” she said. Matilda the Musical is hands down the best made and the best promoted show we’ve seen in this country. Not many productions live up to the hype preceding them but this one exceeds expectations. The elements combine in a perfect alchemy of joy, morality, imagination and witty, wicked humour, delighting kids, and daring adults to look around, pay attention to the children and begin to listen again to their own inner child. Roald Dahl’s Matilda is the extraordinary little girl who, armed with a vivid imagination and a sharp mind, dares to take a stand and change her own destiny. Queensland’s Matildas are Izellah Connelly, Annabella Cowley, Venice Harris and Eva Murawski. On opening night we saw Venice Harris, and as the rockstar chocolate-cake-eating Bruce, Exodus Lale, both superb. We will have to return a little later in the season to see our Eva perform! Last night she was on standby and she was able to appear on stage for a very special curtain call with the standby cast, and composer and lyricist, Tim Minchin. We rarely see a genuinely rapturous, heartfelt standing ovation from an actual full house at QPAC. (Don’t believe every accolade you see on social media. I’m so often surprised/bemused to see claims of a standing ovation when only a smattering of the audience is on its feet! ), but the opening night Matilda audience was as excited and appreciative and awestruck as you’ll ever get at the end of a show. It’s no secret that opening nights are a special kind of magic but Matilda the Musical is a show with a buzz that makes you feel like every night is opening night. If there’s a person in the world who hasn’t enjoyed it, I’d like to meet them and ask, “WHAT’S YOUR DAMAGE?” There’s nothing to dislike here (except Miss Trunchbull and the Wormwoods and we’re supposed to loathe them). Matilda the Musical is an uplifting, life affirming, incredibly moving experience, and the cast of children a dynamic new breed of Australian talent. (Minchin has said the girls who play the Brisbane Matildas are four of the best, in this extremely demanding role, in the world. High praise indeed!). We recognise them by their tremendous hearts and rich, clipped voices, their explosive energy and their neatly contained egos. There are adults in the industry who can learn from these hard working and humble kids. (Those adults are not in this show!). And the synergy between adult and child performers makes this show extra special. The ensemble’s opening number, the fast-paced, bright and brilliant, memorably cheeky Miracle, followed by Matilda’s Naughty, and the School Song, choreographed and executed with military precision, testament to the extraordinary talent on stage and off. There are also a number of must-be-something-in-my-eye moments. One of these moments is the beautifully bittersweet When I Grow Up. This is a smiling-while-tears-are-running-shamelessly-down-cheeks scene, reminiscent of Mary Poppins’ Let’s Go Fly a Kite. The use of a slippery slide and timber seated swings hanging from the gods creates a child-sized whimsical world of wide-eyed possibility. I want a swing hanging from the gods in my backyard! When the “big kids” fly out over the audience we gasp in surprise and delight and abandon – even those of us who have seen it before – and our hearts fill to bursting. It’s not often that a production succeeds in pouring pure glee over an entire audience. A fully engaged little kid sitting next to me, so smart, asks his mama if they are sad because they don’t want to grow up. The kid is no older than four or five. Other innocent comments throughout the evening earn smiling, murmured responses from a lovely older gentleman in front and giggles from the rest of us. There’s a little bit of healthy fear happening too. True to the original story, there are some quite frightening moments in the show, just as there are in our dreams and ordinary lives, and the mother does her best to quietly comfort her child. I know parents sometimes avoid taking kids to the theatre because they know it will be their kid to shout out something in the middle of a show. They think this will annoy the other punters and leave themselves embarrassed and apologetic so they decide to give it a miss until the kids are older, and they and the child miss out on an awesome experience and lifelong memories. If you’re a parent wondering whether or not you should take the kids to the show, STOP WONDERING, BOOK THE TICKETS AND TAKE THE KIDS TO THE SHOW. If the teens and the spouse are slightly wary, they should know Matilda the Musical is also, obviously and subversively, a very grown up show. If nothing else, tell them to hang in there until the final number, the epic kid rock anthem, Revolting Children, which is a showstopper they’ll be singing (and stomping!) for you for days, even weeks. Probably for the next six weeks…of school holidays…lucky you. The Acrobat and the Escapologist, the story-within-the-story, which has been somehow magically more fully woven through the production since last seen, and which Matilda tells to Mrs Phelps (the fabulous Cle Morgan, a delicious performer of exquisite expression and passion; she shines in this underwritten role). You’ll remember it doesn’t appear in Roald Dahl’s book. The dramatisation of – spoiler alert – Mrs Honey’s parents’ romance, is a neat theatrical device to move us into another realm of storytelling, the segments perfectly placed throughout the show now to allow us to wander through Matilda’s imagination. Her voracious reading and imagining is her escape from a despicable family and horrible home life (loud, brassy, not-real-classy caricatures of the worst possible parents, in Daniel Frederickson & Nadia Komazec in Marika Aubrey’s absence). There are so many dark themes and dastardly deeds detectable in life, which children need to be able to process just as grown ups do. Roald Dahl knew this, and Minchin and Dennis Kelly make a considered art of serving it straight up, without apology. 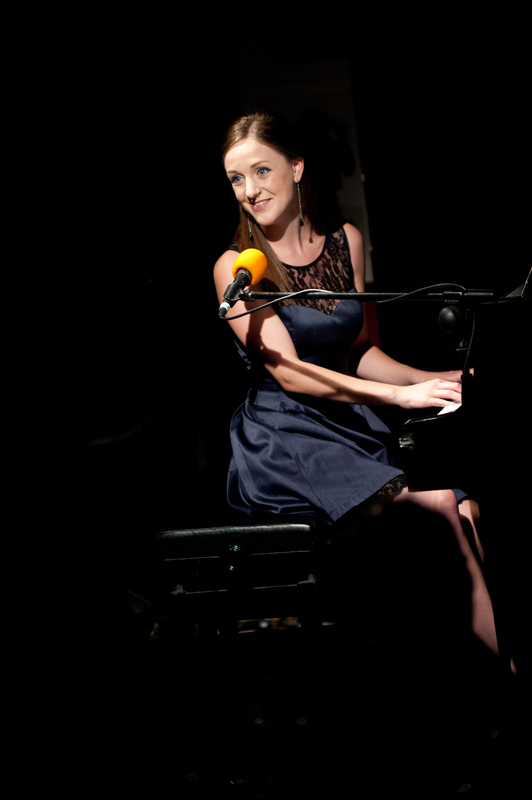 Elise McCann is a stronger, more focused and better settled Miss Honey than when we saw her early on in the Sydney season, her rendition of My House poignantly, perfectly delivered, the vocal tone just divine. And the incomparable James Millar, as the formidable Miss Trunchbull, takes the cake (and makes poor Bruce eat it!). Millar’s hilarious, highly physical performance is another highlight. His performance is so polished and so perfectly ridiculous and reasonable at the same time that you might have a hard time now, as I do, listening to the original Trunchbull, the much-loved Brit, Bertie Carvel. Sorry, Bertie. Can we have an original Australian Cast recording please and thank you. Hugh Vanstone’s lighting and Rob Howell’s costume and set design transfer spectacularly well to the Lyric Theatre and MD Peter Rutherford’s orchestra is spot on. The only superfluous number for me is Mr Wormwood’s Telly, but others love it. Matilda the Musical lifts our spirits and raises the musical theatre bar. It’s a show that proves the book, the film and the real life lens we look through every day can be improved upon. YES. The way we view the world is a choice we make every day. And Matilda reminds us that putting things right and standing up for ourselves and for others is easier than we’ve been led to believe. The fabulous Jo Litson, with whom I had the pleasure of chatting at the Noosa Long Weekend Festival this year, has put up an awesome interview with Tim Minchin and Toby Schmitz. I loved Toby’s Hamlet, at La Boite in 2010, and I’m glad I got to see Tim’s Judas this year at Boondall. I ‘reckon these two together on stage in Tom Stoppard’s Rosencrantz and Guildenstern are Dead will be absolutely the best thing about STC this year (and I can say that, after seeing The Maids and Mrs Warren’s Profession. No. I still haven’t written about them). It is indeed “a casting coup”. Do you have tickets? Of course I’m just as excited as everybody else about seeing Matilda in Australia, but also, I just love the tone of this interview, so I wanted to share it here. Tim Minchin and Toby Schmitz: interview. new production. Judas has always been the plum role, in what was the first officially recognised “rock musical”, written by Andrew Lloyd Webber and Tim Rice after the success of their high school musical, Joseph and the Amazing Technicolour Dreamcoat. I grew up with these shows playing at maximum volume (on scratchy albums, kids. RECORDS. PLAYED ON A RECORD PLAYER). Through the eyes of Judas, we see the events of the last days and nights of Jesus Christ, including the crucifixion (and not, to the slight distress of staunch Christians over the years, the resurrection). If we don’t feel the anguish and self-loathing of Judas there’s something very wrong with the production. In this role, Minchin gives generously so much anguish, self-loathing, confusion and disbelief that there are a couple of moments to bring us to tears if we are so inclined. His Heaven On Their Minds sets up for a faultless performance; it’s a gutsy and unforgiving opening, and Damned For All Time/Blood Money and Judas’s Death set Minchin well apart from the other strong leads, including my (other) favourite, Jon Stevens, whose performance is exceptional despite some unusual directorial decisions having been applied to his character, Pontius Pilate. He nevertheless commands the stage at every moment. These two performers are in a calibre of their own and will have you completely captivated. I saw Stevens as a bare-chested, black-leather-pants-clad certified Rock God Judas in the last arena tour (in the round) in 1992, with John Farnham as Jesus, Kate Ceberano as Mary Magdalene, Angry Anderson as Herod, and John Waters as Pilate. Incidentally, going by the evidence kindly provided by the form-fitting black Nike gear he wears so well, Stevens is in better shape now than he was then. Just saying. By leaping into both demanding roles, Stevens has well and truly proven his versatility and his prowess as a stage performer (and look, in 1992 certified Rock Gods making their musical theatre debut could get away with taking a breath in the middle of a phrase), not to mention his commitment to basic stagecraft, which is not to be undervalued even (or especially) at this level. Ben Forster, who won the title role in the British Superstar comp, can’t help but head into overly dramatic territory, where his vocals suffer slightly when there’s no need to push it; clearly, he has the necessary vocal range and depth of emotion. Despite his obvious talent and earnest efforts, he seemed slightly fatigued and his Gethsemane failed to move me, with his best moments happening in tandem with Minchin. The kiss from Judas, and the embrace that follows it, is heart wrenching. I defy you to sit unmoved during this small, spectacular moment. The devil is in the detail. Andrew O’Keefe as Herod in a flashy red velvet suit, manages to pull off an appropriately cheesy reality television game show, complete with faux audience participation, our host pandering to the cameras, and a bevvy of beautiful Deal or No Deal (well, they’re really “Lord or Fraud”) girls in gold. The girls return later, as SMASH style angels, in frilly knickers and corsets, and help leather-bound Minchin to make Superstar the showstopper. In one foul swoop, there it is, exactly what we came to experience; the Superstar Arena Spectacular! Mel C – who is being raved about by other critics so, you know, don’t take my word for it – forgot, I think, that she was here to play the role of Mary Magdalene and after her perfectly measured part in Everything’s Alright, insisted on reverting to Sporty Spice style, shouting more than singing I Don’t Know How to Love Him. (I’m sorry, but you got nothin’ on our Naomi Price, girlfriend! ), and Could We Start Again Please (poor, poor Peter – the talented Tom Parsons – didn’t stand a chance!). Suffice to say, after her first number, Mel C failed to impress me. AND I WAS READY TO BE IMPRESSED. After all, each and every lead role in this show is so, so, SO covetable, and we (quite rightly) expect the best. It’s not just a matter of getting up and making your mark as one of these characters. We need to see more than the star on stage. To be cast in any iconic show demands a step away from the ego and a back to basics approach in terms of discovering and developing characters and relationships. It’s the difference between recognising an actor like Robert De Niro or Daniel Day Lewis in a role, and not seeing anyone other than Keanu Reeves in a role. JUST SAYING. Director, Lawrence Connor, has drawn on the global Occupy Movement to perfectly recontextualise this adaptation, dragging even the most reluctant of the original 1970s fan base into Big Brother’s digital age, with news updates, headlines and tweets (and hashtags, including #RomeLies and #FollowTheTwelve – of course I loved it!) embedded on the massive screen before us in between live-streamed footage of the performers and the changes in surroundings. It’s more like a rock concert than a musical, with camera operators sharing the steps and stage space with the cast and band, and a lighting design by Patrick Woodroffe worthy of a Freddie Mercury Resurrection Tour. Speaking of the band, I don’t often list an entire collective but these guys, placed in full view on the scaffold at either side of the steps/stage space are outstanding, and if you faked a standing ovation in order to surreptitiously take your leave and get out to your car during the play-out music SHAME ON YOU. You missed the final fantastic notes from Louise Hunt (Musical Director/keys), Peter Adams (keys), Lewis Osborne (guitar), Frissi Karlson (guitar), Phil Mulford (bass), Andy McGlasson (drums), John Clark (percussion), Nicole Dixon (French horn), Kate Robertson (sax & wind instruments), and Greg Spence (trumpet). Regardless of your final thoughts about this production, you can’t fail to appreciate the expertise of the musos involved. The same applies to th ensemble, which gives this story much of its energy, excitement and contemporary urban grunge. Their vocals are superb. There are some clunky scene transitions – there usually are in Superstar and the set is perhaps less visually arresting than expected, although Minchin’s last entrance from – literally – “the gods” up above us, and the lighting bars used for the cross worked well. I’m surprised I didn’t get shivers upon hearing the opening strains of the guitar (it didn’t seem LOUD enough! ), or in the final moments (it didn’t seem to MATTER enough! ), and I’m disappointed that I didn’t feel completely awestruck by this…impressive production. I love Jesus Christ Superstar – our Sunshine Coast production, directed by Cirque’s Mark Bromilow and staged in a warehouse in Kawana in 1999, retains the record for the largest audience numbers in a season on the Sunshine Coast – and the majority will love this Arena Spectacular, which is everything its tag suggests it should be. But there’s a big-budget-big-ego issue overshadowing a few of the elements, which is keeping me from really LOVING it. 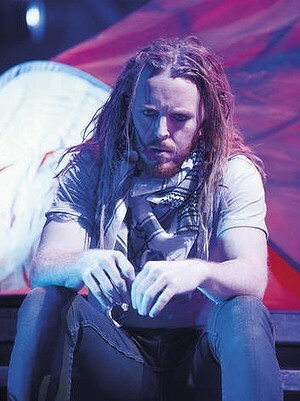 That’s not to say I wouldn’t enjoy seeing Tim Minchin the show again! I was impressed enough to get online and book two more tickets for the third and final Brisbane performance – for my husband, the producer of that unforgettable local production in ‘99, and for my dad, singing at the top of his voice and playing the original scratchy cast recording since 1970. Jesus Christ Superstar should be experienced at least once in a lifetime and the Arena Spectacular is a terrific, high-voltage version so book your last-minute tickets and chalk it up!